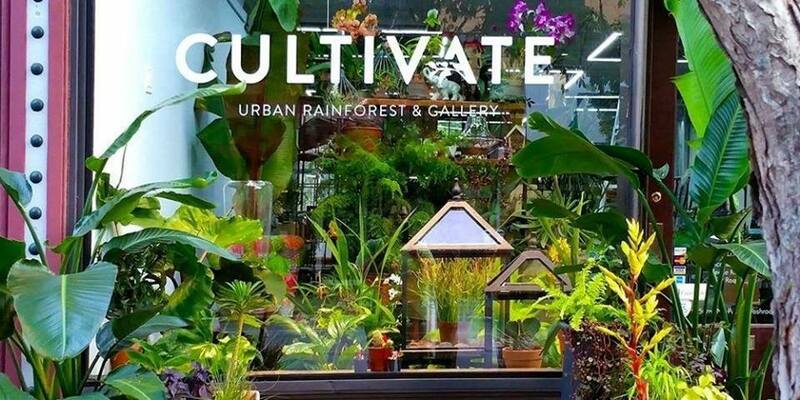 Cultivate Urban Rainforest & Gallery is your locally owned spot to buy plants in Evanston. 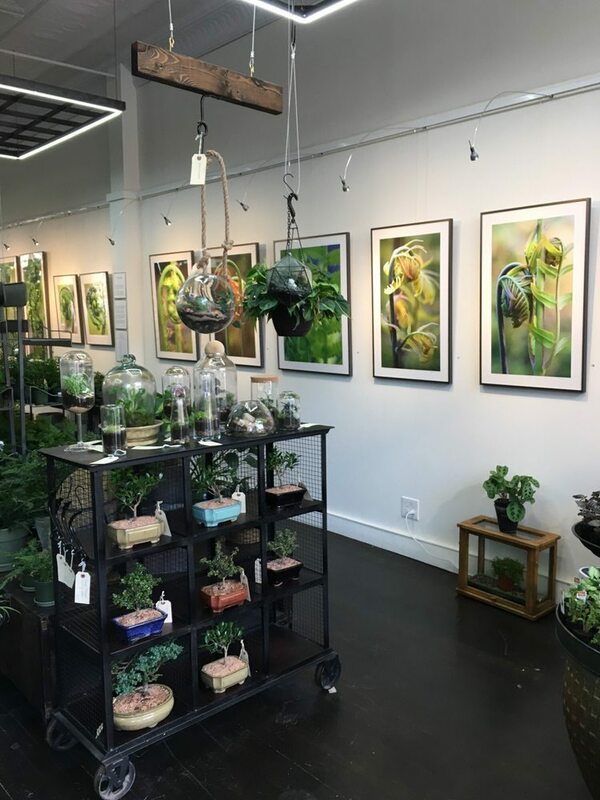 Located in Evanston’s Main Dempster Mile shopping district, Cultivate is a friendly,women owned, independent plant shop and art gallery. Louise Rosenberg created Cultivate to share her passions of houseplants and the natural world, art and music, with an ever growing community. She believes nature, creativity and connection are vital elements to a life well lived. At Cultivate we offer a unique mix of lush and exotic tropical and succulent houseplants. Our selection of decorative pots is one of our most remarked on features. Our shop and gallery is home to large selection of terrariums that we create here. You’ll find our terrariums range from stunningly beautiful to whimsical. Look for hanging or tabletop terrariams we have plenty for you to explore. We also offer garden accessories, and so much more. In addition, our comfortable oasis features an art gallery of nature-themed works by renowned and local artists. You will also find one-of-a-kind pieces of furniture, gifts, and a terrific selection of plant and nature related books for kids and adults. We sell only organic soils for various types of plants including mulch, succulents,orchids,tropical,and african violet. The fertilizers we sell are only organic as well. Our Perennials are grown in very bio-active soils by a company the uses almost zero pesticides. We offer non-GMO heirloom seeds. Cultivate takes great pride in helping you start or expand a healthy, thriving indoor garden. We help you find the right plant for the conditions you have available. We are here to help your indoor plant thumb turn green. We offer a range of services including, custom made terrariums, plant repotting, local delivery, and gift certificates. Cultivate is also a place for community:We offer artists receptions on a regular basis. 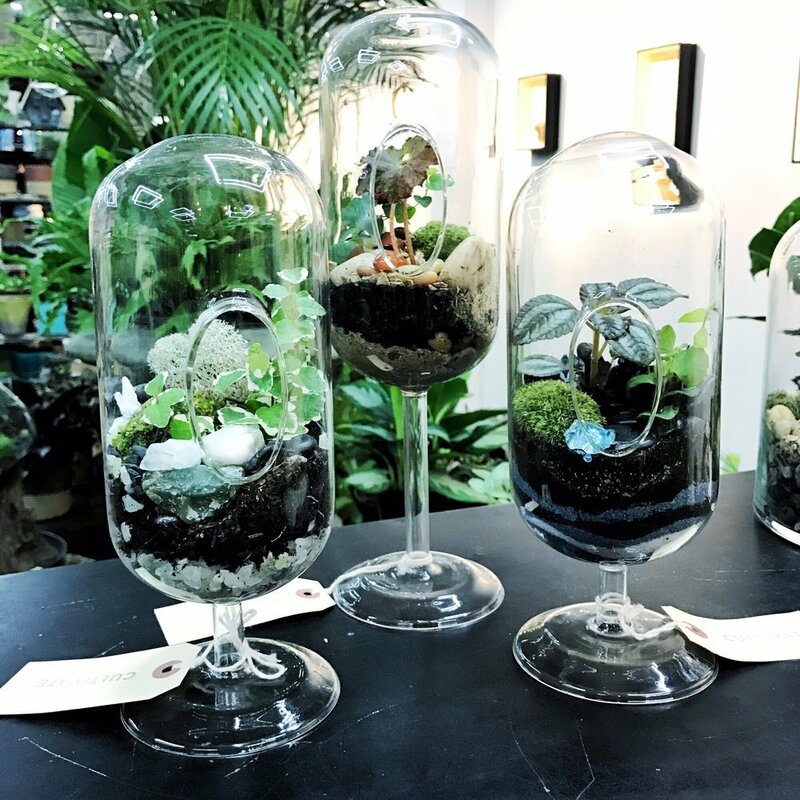 Cultivate offers Terrarium Workshops – BYOB.We host other events as well including concerts and more. You can book your own terrarium class for gals night out, birthday parties, wedding parties and more. You can even rent our gorgeous space for your own event.